Currently many retail businesses are looking to hire creative roles that are normally found in a media company, Shoes of Prey is one of these retailers. Customers will be impressed by the content on your site if you overlap retail with media. The time for storytailing has arrived. 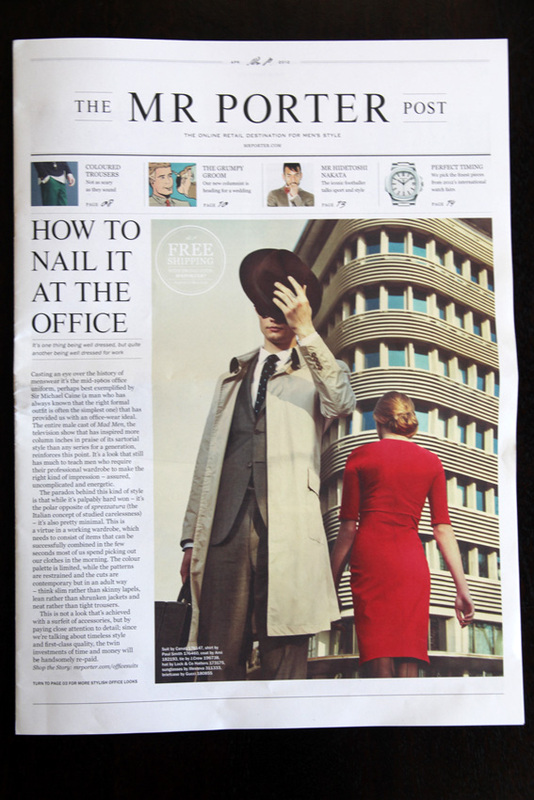 The magazine contains fantastic articles on topics like coloured chinos, sports jackets and how to put outfits together and 'nail it at the office'. 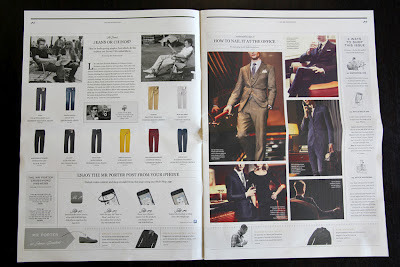 It's exactly the sort of content I might previously have purchased magazines like GQ or Men's Vogue to read. It's content like Mr Porter's that's contributing to the decline in readership of magazines. 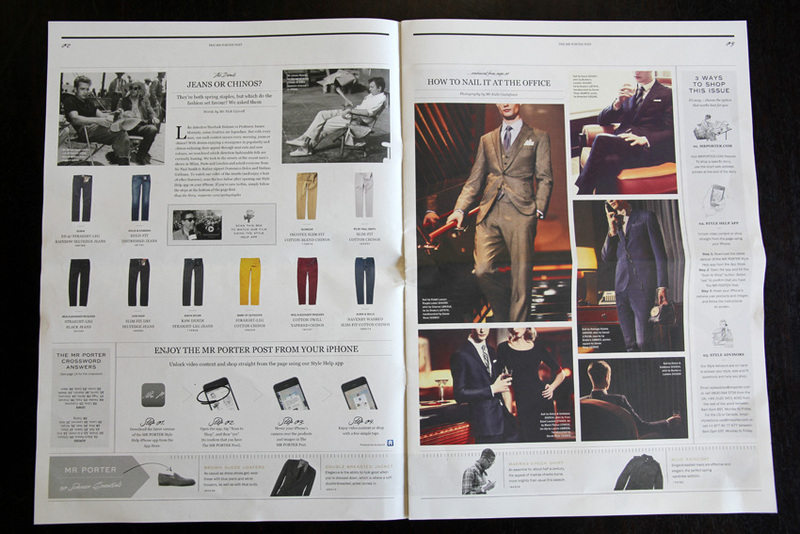 And rather than having to sell advertising, a magazine like Mr Porter's has a clear revenue model - all the product in the magazine is available for purchase in the Mr Porter store. To assist with linking the physical magazine to the Mr Porter store, they've created a phone app that allows you to hold the phone camera over an article, then directly purchase the products from that article from the Mr Porter store on your phone! 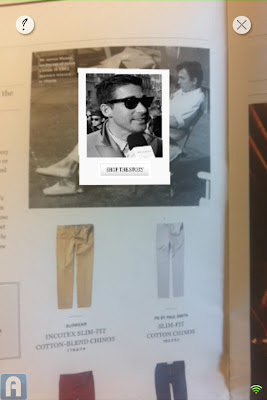 And here's the Mr Porter store page that the coloured chinos article took me to, perfect! Which other retailers have you seen creating great media content? Very impressive. I assume you picked up a copy while you were overseas and it's not yet available here, or were you sent the images used above? 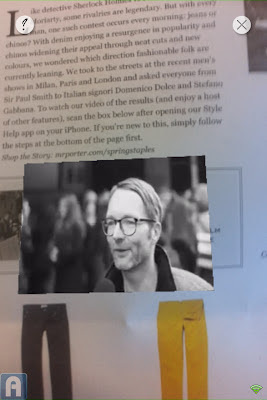 Our Sneaking Duck co-founder Mark Capps was given a copy at a recent retail conference by the CEO of Net-a-Porter. I assume they would send these to customers in Australia but I've not seen it here otherwise so I'm not sure how they distribute it. I'm in Sydney and got sent this about 3 weeks ago. Working in digital and fashion e-commerce, I've definitely seen a trend where brands want to own categories and be consistent across all platforms of customer interaction and commerce. Chatting with Mike from Shoes of Prey and actually experiencing the process in store in DJ's was a real insight into the future of retail. I too am building an omni-channel experience for my customers, and as a side affect, creating a loyal 'tribe' along the way.